Public relations is a challenging field. The process of identifying, contacting and working well with journalists, bloggers and other “influencers” requires creativity, determination, and a singleness of purpose. Fortunately, many services can reduce the work and increase your chances of success. Some, such as Cision and Meltwater, are full-featured, powerful platforms. However, such platforms can be too expensive for many smaller companies and entrepreneurs. So this list includes only free or low-cost tools, which generally cost under $1,000/year (although most of the tools cost much less than that). Many of these tools have more full-featured versions that you might find worth their higher price. Here are the tools, divided into categories. A PDF version of this article is also available. You can filter by time, topic or language, and then sort the results by the number of tweets, the number of times the person has mentioned your keyword, or the “influencer score” (which gives an idea of the relative importance of the person). This means you can effectively narrow down the results to meet your needs. Anewstip will also alert you when your keywords appear in articles, so you can monitor trends and quickly get in touch with the journalist covering a topic. Pricing: Free. More full-featured versions start at $99/month. This searchable database of technology journalists includes hundreds of thousands of articles from thousands of writers. Enter a keyword and Hey Press will give you the most relevant writers for that topic, as well as links to their articles. Pricing: Starts at $15 a month. PressRush says its mission is “to make it ridiculously easy for you to connect with the right journalist, at the right time, with the right message.” The company also says that its “laser focus on online media outreach” differentiates it from other media services. This tool continuously monitors media outlets and reports as journalists publish stories. PressRush presents relevant information about journalists in a single view, information that can help you develop a pitch. You can send pitches directly from the system. A built-in open and click-tracking capability will show if the journalists read the email and clicked on the links. Pricing: There’s a two-week free trial. Then pricing starts at $49 per month. 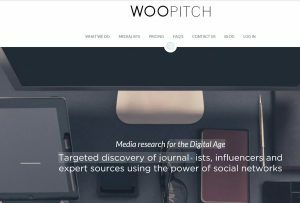 WooPitch WooPitch, which does “media research for the digital age,” monitors social media platforms such as LinkedIn and Twitter to discover journalists, influencers and experts. You can search the WooPitch database for people covering a given topic, and then export that information to Excel to do your pitches. 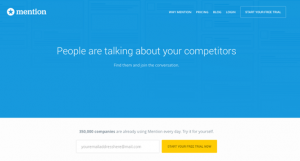 Pricing: A free version includes unlimited searching across millions of social profiles, 10 email and social profile lookups per month, and list building and export features. Paid versions offer more functionality and start at $65/per person a month. This is by far the oldest tool I’ll discuss. Editorial calendars have been around since those prehistoric days before everything was online. Since I assume this may be new to many readers, here’s some background. You can typically find the calendars in the advertising section of the publication’s website. Pull out the information on the topics that “fit” you or your client; make your own “mini calendar” with those topics and, when appropriate, contact the journalists to encourage them to include you or your client in the story. I have had great success using editorial calendars especially for my business-to-business (B2B) clients. See my article “Editorial Calendars: the Stealth Publicity Tool” for detailed information on how to use this time-tested PR tool. Today journalists are under great pressure to meet deadlines. That’s where HARO (Help a Reporter Out) comes in. 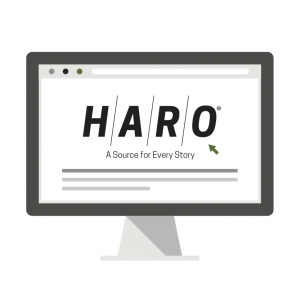 I’ve used HARO for years and think it is one of the best PR services out there. This free service connects reporters with experts for their stories. Here’s how it works. Three times a day HARO emails inquiries from reporters looking for information or expert sources. The inquiries are divided into categories, so you can quickly check your area of interest. When you see an opportunity that fits your experience and expertise, send a response that either answers the journalist’s questions or outlines your credentials to encourage the person to talk with you. One note. Respond quickly. HARO is a popular service and, if you delay, you may miss your chance. See my blog post for more tips on responding to a HARO inquiry. Pricing: Free with upgrade options. This hashtag is not a tool per se. However, journalists use it to publicize the fact that they’re looking for contributors. It’s worth checking regularly. Just log onto Twitter and search for the hashtag. When you see a “fit,” tweet back your response. 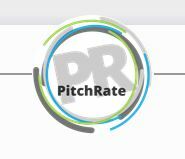 Similar to HARO, PitchRate sends out daily emails on various media opportunities. In my experience, most of them come from general, consumer media, not business or technology journalists. You have to log onto the website to respond to an inquiry. Can’t check @journorequest all the time? 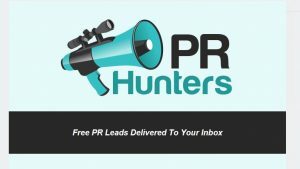 Sign up with PR Hunters, which delivers PR leads as journalists tweet PR requests. Select your relevant topics and keyword alerts, and receive a daily summary. 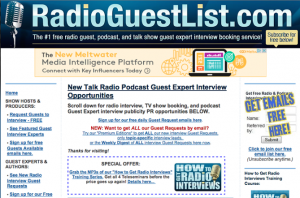 Sometimes called the “HARO of the audio world,” Radio Guest List connects journalists to possible guests for (surprise) radio and podcast interviews. The service emails requests from producers, journalists, and podcast hosts who are looking for experts on particular topics. When there is a “fit,” you can contact them and outline your credentials. GlobeNewswire absorbed the popular Marketwired wire-distribution service about a year ago. This service enables you to distribute your announcements to individual cities or worldwide (should your announcement and your budget permit). You can have your release and corporate logo sent to up to five categories of trade media (e.g., healthcare) for free with a geographical distribution. Also you can enhance your release with graphics, video and the like for an extra fee. A detailed report gives you a snapshot of the coverage of your news. Pricing: The cost depends on the length of your release, the geographical reach, and any “extras.” Depending on the size of the release and the geographical distribution, you could end up spending more than $1,000 on a distribution. 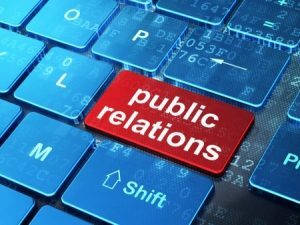 Now owned by Cision, PRWeb is a news distribution service that allows you to create, distribute, and track your news releases. It has several tiers of service, so you can pick the service based on the importance of your news. At its most basic, PRWeb will feature your release on its site, which is organized by industry. The system’s response and tracking features help you monitor impact and results. Pricing: The tiered pricing starts at $99 per press release for the Basic plan, and goes up to $389 per press release for the Premium plan. You can pay per news release or sign up for a subscription. This online service provides real-time “social media monitoring for all sizes of businesses,” and sends alerts so you can contact journalists in a timely fashion. An “influencers’ score” can help you decide who you want to target. The sentiment analysis gives you an idea of whether the content is positive, negative or neutral. Pricing: There’s a free trial. After that, pricing starts at $49/month for a single user. This tool is great way to identify timely topics. 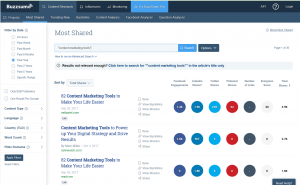 Enter your keyword and BuzzSumo will show what content was shared the most across all social networks, and gives detailed information about views, shares, and reach. You can also get key insights about influencers, such as what content they’re sharing, and their following and engagement rates (which give you an idea about how much “clout” they have). I cross-check ideas for my blog with BuzzSumo before writing, and have changed angles for many posts because of what I’ve learned. Pricing: There’s a one-week free trial. After that, pricing starts at $79 per month. Pay the year in advance and it will be $948. This free resource alerts you that your keyword has been mentioned online. Sign up online, choose your keywords, and specify whether you want to be notified “as it happens” (when Google finds the mention of the keyword), once a day or once a week. The downside to Google Alerts is that you’ll get the alert when the search engine crawls that site, which might be weeks after the information was posted. For faster reporting, consider Mention, which is closer to a real-time media monitoring tool. Input your company, client or other keywords. The system tracks mentions on news sites, blogs, social media (e.g., Facebook and Twitter), forums and more. You will be alerted when someone mentions the keyword so you can respond quickly. Pricing: There’s a free trial. After that, the service starts at $29 per month for a single user. I hope this compilation inspires you to check out some new tools. Did I miss something you love? Please let me know.